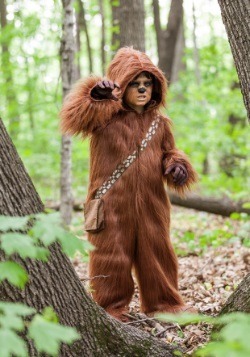 Despite Wookies animal-like appearance, anyone who knew the beings well knew that they were a gentle and wise species. 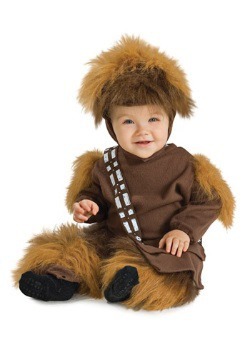 As such they nurtured their young to become full fledged forest dwellers on Kashyyyk. Newborn wookies would be kept in Nursery Rings for a period of time, until they were ready to go home and live with their family. 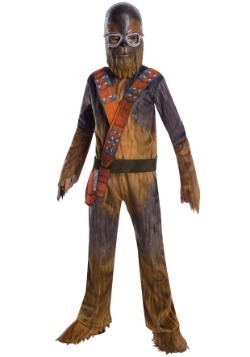 Having a strong family structure was very important in Wookie culture. 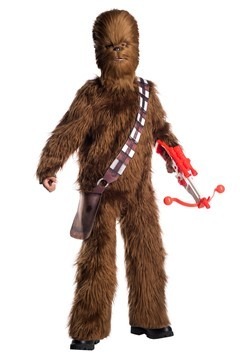 Wookie children would slowly take on more responsbility in the household until they were old enough to perform a coming of age ritual, usually around the age of 12. Depending on what subculture they belonged too, they would have to perform a dangerous task in extracting fibers from the center of a dangerous carniverous plant, or the Test of Acenscion, foraging in the dangerous Shadowlands. 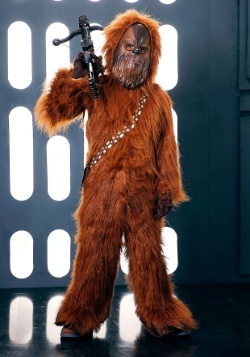 Wookies would be full grown around the age of 18, and had exceptionally long life spans living in excess of 400 years. 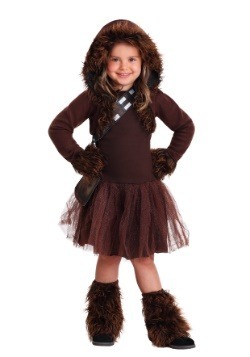 Their formative years growing up on Kashyyyk would influence them for the rest of their lives. 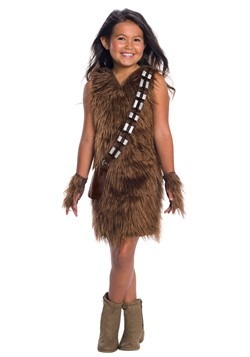 If you think your child would enjoy being a Wookie at their next dress up event, we have some great choices for the youngling in your life! 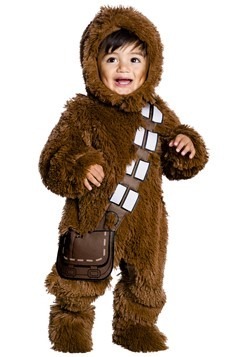 Our toddler Chewbacca costume is simply adorable, and our infant onesie is a cute funny choice for a newborn. 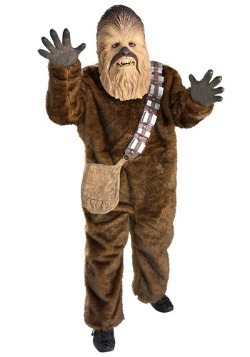 Our child sized Chewbacca costume is the perfect way to complete any Star Wars group costume, even if they are a little short for the role!